I have a few addictions in my life, pushchairs, wraps, coffee to name a few. 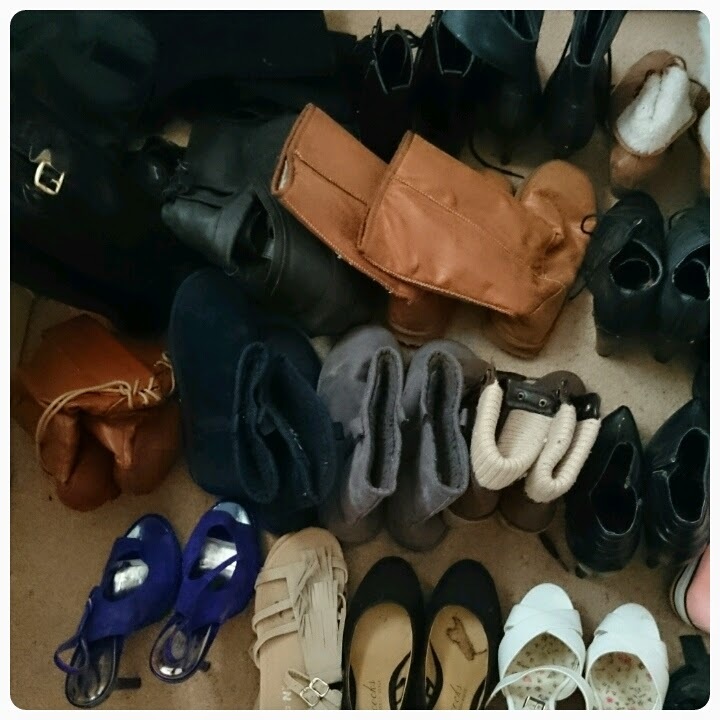 There is one addiction that I can't seem to kick, shoes!! 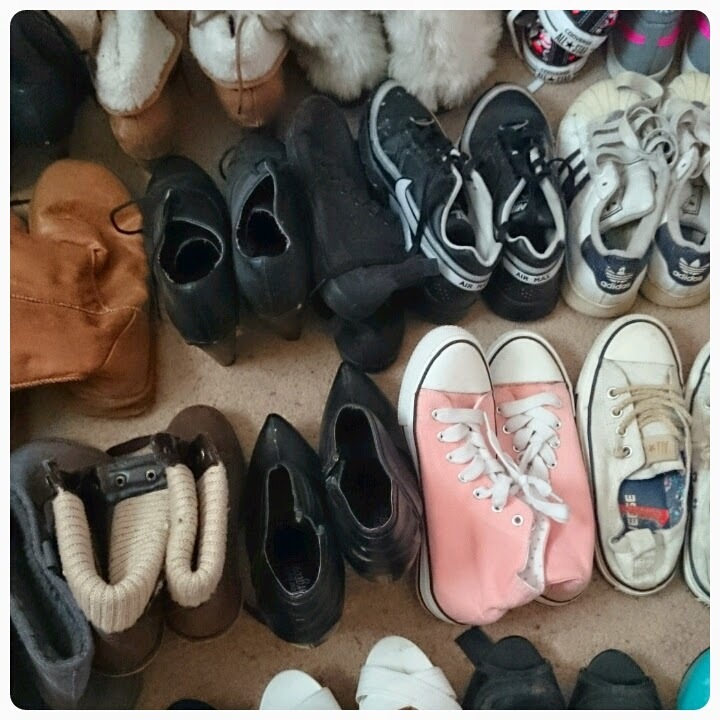 I was always under the impression that you can never have too many shoes, well that is until one of my daughter's moaned because my shoes were now taking up space on her designated shoe shelf, oopsie. So I decided it was time that I had a sort through and maybe, just maybe get rid of a couple of pairs, this was in no way a definite!! 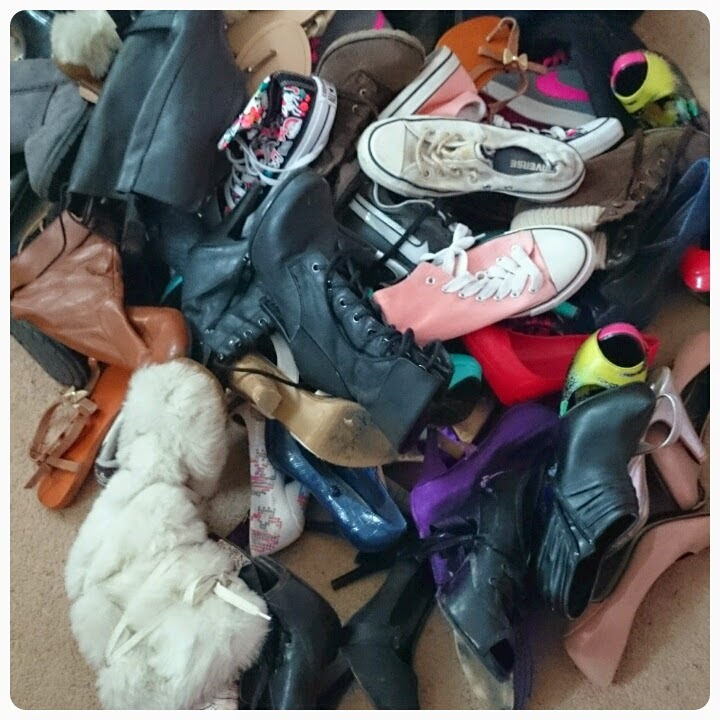 Now I don't think that is too bad but I have to admit that I haven't even worn some of them, they have been left to gather dust, feeling unloved. Although I'm quite pleased that I still have a pair trainers that I bought when I was 15 years old, making them the grand old age of thirteen!!! 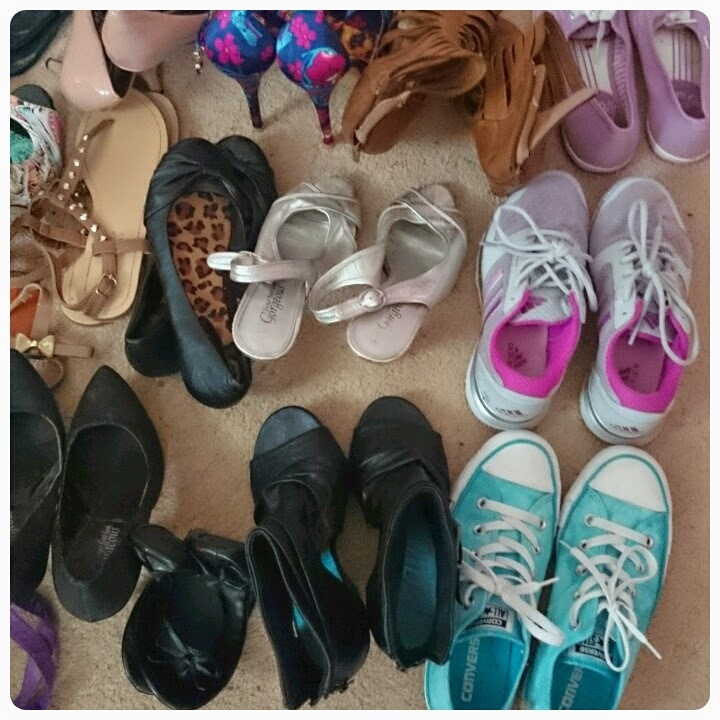 So how many of pairs of shoes do you own, do you have the same addiction as me or is there something else that you seem to have many variations of?? Oh my, that's impressive! I've got a pair of wellies, a pair of trainers, two converse, I pair of boots and that's it! I do have a lot of black shoes, if I'm honest, and often have to stop myself buying more. I love shoes. They're the one thing you can wear regardless of size so always help perk up an outfit! 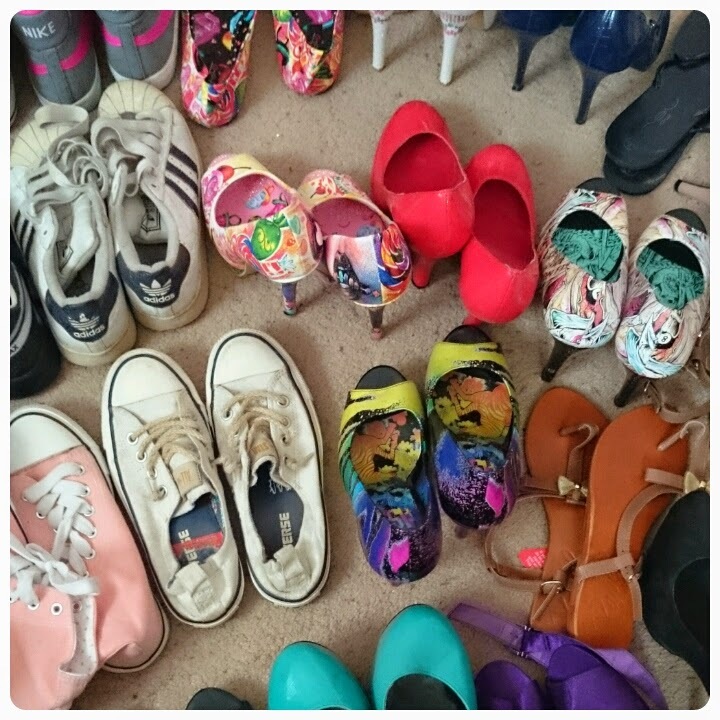 How do you NOT have odd shoes in this collection .... or is this just me? !